As well as being one of the world's most famous monuments, Mount Rushmore is a recurring symbol in American films and written works for which it has provided inspiration. Mount Rushmore now welcomes over 2 million visitors every year, retracing more than 150 years of American history. 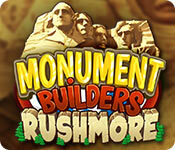 Monument Builders: Rushmore is rated 3.1 out of 5 by 21. Rated 5 out of 5 by SkippyTrini from Build Monument Rushmore I bought this game Tuesday and I finished playing today! Loved this game there were a few level that I got stuck on but I figured it out. Must play it's fun and challenging when need too! Rated 5 out of 5 by graceland9 from Building Mt. Rushmore is Tricky Fun! What seems like a simple TM challenge is a very tricky exercise in construction. Not only do you have to provide food, wood, explosives, and workers, you also have to order items from the factor in order to build and improve shops, cake shops, and factories. I really enjoyed figuring out the challenges. I played the middle level, but I want to go back and try the toughest one. This is no slouch of a game, spoon-feeding you easy levels to get you started! Right from the beginning you have to figure out the best way to order your progress in order to clear your roads and make it possible to order the resources you need. I also enjoyed special challenges like clicking on robbers and feeding wolves. Plus, it's cool to have all those Model T's rolling around. Excellent, tricky game! Rated 4 out of 5 by campingramps from It's a RUSH and we need MORE This is a TM I could really get into. I like the way it literally goes through the building of Rushmore from start to, I presume, finish. Nice little tidbits of folklore and history thrown in to keep it interesting. Didn't get to the finish in the demo though. The play is intense and you better be on your toes if you want 3 stars. Gets harder as you progress, naturally, and that is to be expected. Color and graphics are above average for a TM and the characters have surprising detail for being so small. This is one that goes on my tentative buy list and I recommend it for all you TM fans out there. Have fun! Rated 4 out of 5 by amgood49 from To short As always I love these games, it was good but way to short. you can still send wagons on their own by buying at the shop. potion for it. couple levels were a bit challenging but not hard. waiting for next stop 2 and the new gnome gardens 3 to get here. still would buy the game for a few hours of relaxation. 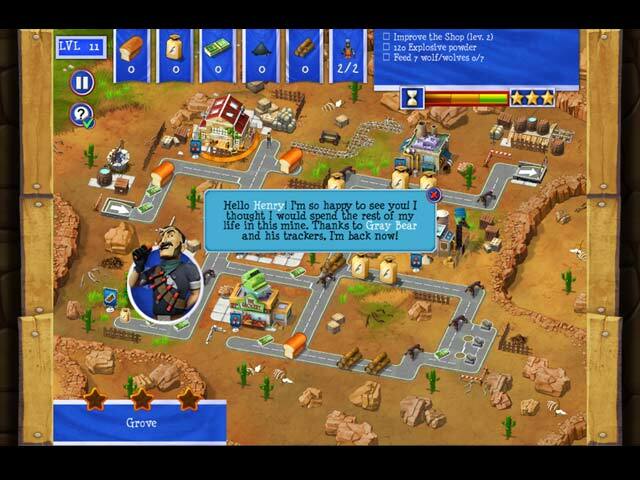 Rated 4 out of 5 by murphie12211 from Good but Short Good story as usual with Monument Builders, but this one was much shorter and not much challenge. Though I did have to try several times to get the 3 stars on the last few levels. There's nothing new here, except there is no option to automatically send carts to the warehouse; you have to mouse over them. Rated 3 out of 5 by Hailstorm12 from What happened Monument Builders?! I'm a fan of this series, but this one was disappointing. I looks like they wanted to pump out another game without giving it too much thought. Very basic, and suddenly I was finished! I looked back to see if I needed to do something to advance, but, no, the game was over! Previous games have had 50 levels, but some of the later have had only 30. What's up with that? 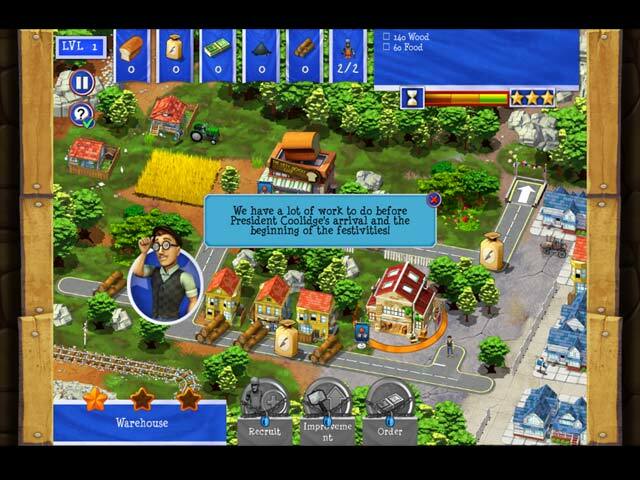 I would recommend visiting a website to learn about the building of Mount Rushmore, and then re-playing one of your other Monument Builders games. 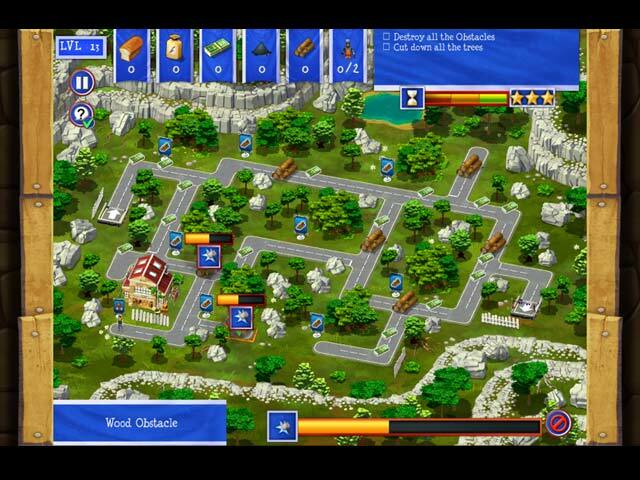 Rated 3 out of 5 by starcaller from Way too short I love these Monument builders games as I enjoy the time management as well as learning about the history however this one only had 30 levels which was a bit disappointing. I also found this one a little bit easier then some of the others but on saying that, it was fun and interesting. I would say that those new to monument builders may like to start with this one and those like myself that enjoy these types of games will also enjoy it however I do recommend trying the trial first. Rated 3 out of 5 by SnappyPeas from Disappointing I bought this game based on my enjoyment of previous installments. Disappointing. It's nothing special, nothing new and is really SHORT!! Rated 3 out of 5 by magbrad from Fun, but disappointing I love the Monument Builders series until this one. It's OK, but so much less than the previous ones! No bonuses, and the carts won't go on their own. I got fed up pretty early. I am sorry I bought it without trying it out first. Oh well. Goes to show that later versions are not necessarily better!